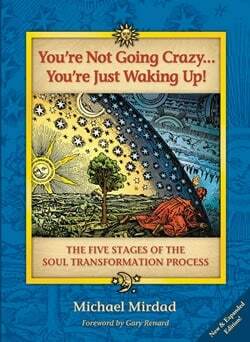 Book Review | You’re Not Going Crazy…You’re Just Waking Up! Wow, finally a book that can help to explain to people what happens to them when they go through something traumatic…or hard in any way…shape…or form! When you are stressed out, there really isn’t a book out there that can give you the amount of information that this one little book does by explaining each individual step someone goes through when you transform your life. Rebuilding your life isn’t easy…it is a pain in the neck frankly. You can either do it as a willing participant…or you can learn like I did…the hard way! You owe it to your friend or family member by giving them a copy of this book….to read up on while they are learning how to rebuild. The book gives you quotes from people….and ways to help you with the rebuild process. I look at how far I have came since rebuilding my life in Denver Colorado…I could not have gone this far without learning the principles of this book…though I would have rather had the book and learn it earlier than spend the time on it later on in life! Thank you so much for the wonderful book review. Your blog looks wonderful and it seems you are very selective in the books you review. Therefore, I am honored you chose “You’re Not Going Crazy . . . You’re Just Waking Up!” as one them. Most readers agree with you–the book is powerful, applicable, and can be read over and over because of our daily need to use the transformation process described in the book: dismantling, emptiness, disorientation, re-building, and a new life. Thanks again for featuring our book and we hope to connect again soon. In the meantime, we’ll introduce your blog to our many readers. Sincerely, Michael Mirdad, author, You’re Not Going Crazy . . . You’re Just Waking Up!